Pick your own Apples, Pears, Cherries, and Flowers. This is a seasonal activity and Mother Nature dependent. Reservations are required for apple and pear picking only (Form below). Pick your own flowers require no reservation and are open during farm stand hours July through November. We have beautiful Dahlias, Zinnias, SunFlowers, and many other long lasting cut flower options. Pick your own fruit is by prior confirmed reservations only. Cherries ripen early July. We will post on our facebook page special hours for cherry picking a week or so before they are ready. Apples are ripe late July through mid-October. Pears are ripe September and October. Confirmed reservation – email with your request. (an email that states your request has been received is NOT a confirmed reservation.) Email requests may be sent beginning January 1 for the current year picking. Reservations are made in date order of requests sent and are scheduled beginning in July. Around July/August, we will send you a confirmation email to you once your scheduled time has been set. This is a family friendly activity. We are not set up to accommodate groups at this time. Plan approximately 1 hour to pick apples, meet the animals, eat apple cider donuts and drink cider. $3 per person admission. 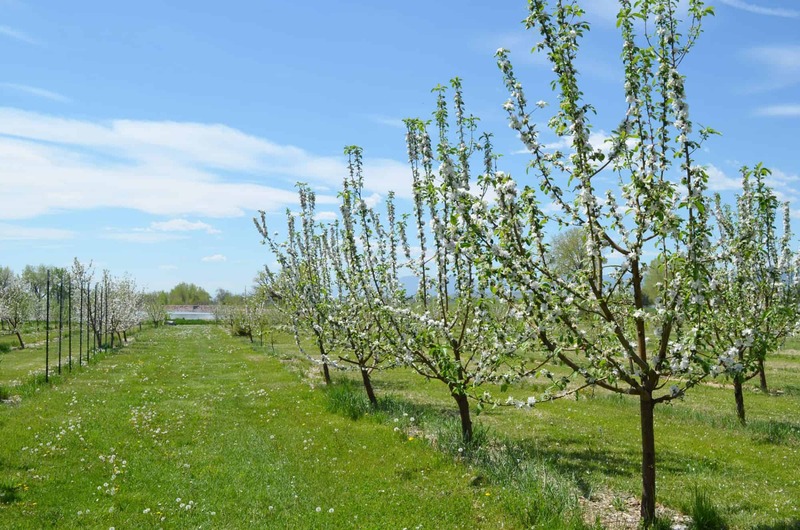 Your admission goes directly towards paying our orchardists to keep this orchard productive, beautiful and open to the public. $12 per bag. You will be given 1/2 peck bags (holds 5-7 lbs of apples) to be used for picking. Bags may be limited depending on the season’s production. Please do not bring your own bags. – Out of respect for our 4 legged and 2 legged creatures and other guests, please leave your dogs at home. – Be gentle on our trees and plants. How you treat the trees has a lot to do with their blossom ability next Spring. – Parents, please supervise your children at all times. – Pay for what you pick. 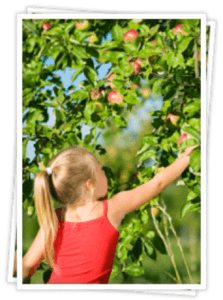 Options – apples, cherries, grapes, pears, plums. Variety preference, if any. I understand that the submission of this form is not a guarantee or a confirmation to pick. I understand that YA YA Orchard will contact me by mid July to advise me of the status or my picking request.